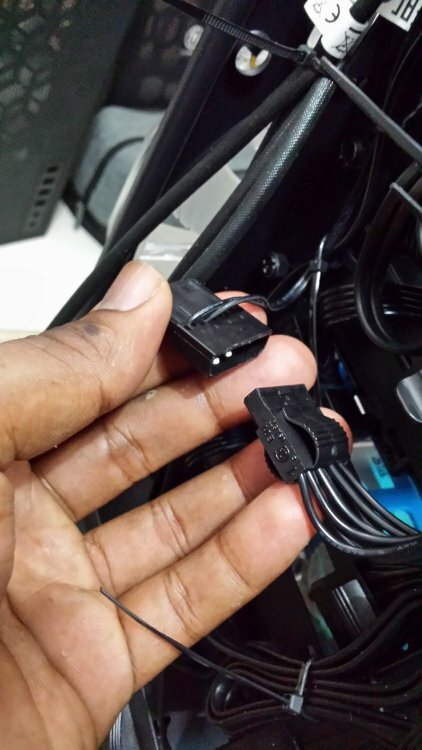 On July 8, 2018 I bought a Thermaltake Core V71 Tower in Spain and I arrived in Colombia at the end of August, so a couple of weeks ago I was able to start with the installation and assembly of my computer parts, All the parts of the computer are Thermaltake brand (source, heatsinks, liquid cooling, etc ...) once the assembly was made in the Tower Thermaltake Core V71, there was a problem when performing the ignition and is that the three (3) Fan (heatsinks) of 200mm that brings this Tower located in the Front and top part DOES NOT ROTATE, just turn on the LEDs. In detail I checked all the connections, I made sure everything was connected correctly, later I focused specifically on the MOLEX connector which is connected to a PSU Thermaltake Toughpower RGB 850 W Gold; connecting and disconnecting repeatedly, but the fans did not turn and the result was always the same. 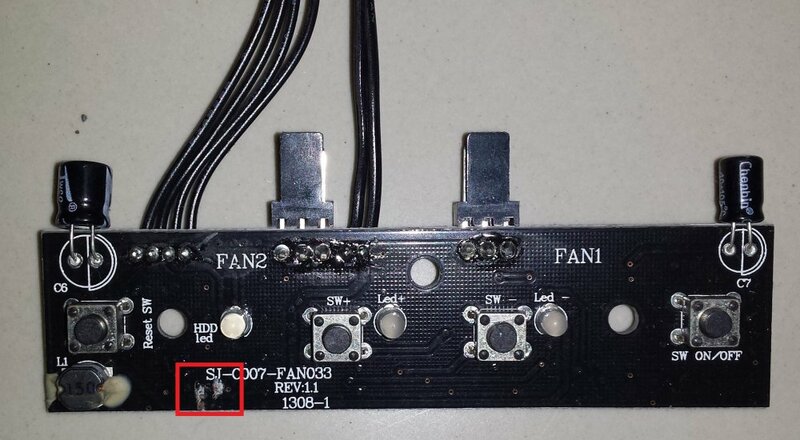 Obviously if the Fan (dissipaters) do not rotate the functionality of the FAN LOW and FAN HIGH switches is null, but the Leds of these switches if they turn on when pressing them, I would say that their function is fine, but if the Fan does not rotate, there is no case. I have the three original 200 mm fans connected to the FAN CONTROLLER and the only thing I can think of is that it is defective ... Is there anything I could do wrong? 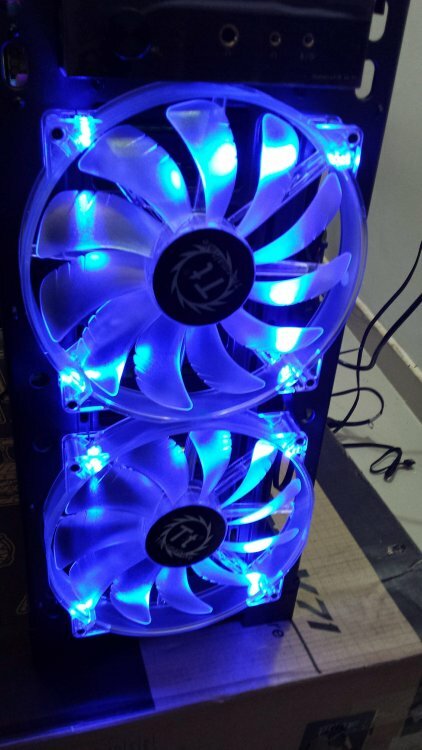 Is it possible to CHANGE THE FAN CONTROLLER due to factory defects? Can it be repaired? Where can you change it in Colombia? Could Thermaltake send it to Colombia where I am currently residing? I think all the connections related to the fan controller are correctly. Does anyone have any ideas or recommendations? Everything else works very well, but I would like the fans to work properly and help maintain a good temperature inside my tower. I appreciate the advice and / or recommendations of everyone. El día 8 de julio de 2018 compre una Torre Thermaltake Core V71 en España y me llegó a finales de agosto a Colombia con lo cual hace un par de semanas pude empezar con la instalación y ensamble de las partes mi computadora, Todas las partes de la computadora son de marca Thermaltake (Fuente, Disipadores, Refrigeración Líquida, etc…) una vez realizado el montaje en la Torre Thermaltake Core V71, se presentó un problema al realizar el encendido y es que los tres (3) Fan (disipadores) de 200mm que trae esta Torre ubicados en la parte Frontal y superior NO GIRAN, solo encienden los Leds. Detalladamente revisé todas las conexiones, me aseguré de que todo estuviera conectado de forma correcta, posterior me centré específicamente en el conector MOLEX el cual está conectado a una PSU Thermaltake Toughpower RGB 850 W Gold; conectando y desconectando en repetidas ocasiones, pero los Fan no giraron y siempre el resultado fue el mismo. 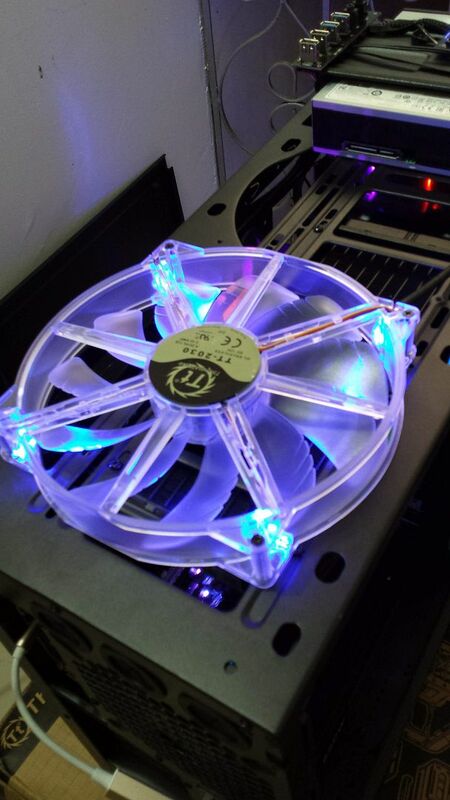 Obviamente si no giran los Fan (disipadores) la funcionalidad de los interruptores FAN LOW y FAN HIGH es nula, pero los Leds de estos interruptores si encienden al presionarlos, diría que su función está bien, pero si los Fan no Giran no tiene caso. Tengo los tres ventiladores originales de 200 mm conectados al CONTROLADOR DEL VENTILADOR y lo único que se me ocurre es que esté defectuoso… ¿Hay algo que pude hacer mal? ¿es posible CAMBIAR EL CONTROLADOR DE VENTILADOR por defectos de fabrica? ¿Se puede reparar? ¿Dónde pueden cambiármelo en Colombia? ¿Podría Thermaltake enviarlo a Colombia donde actualmente estoy residiendo? Creo que todas las conexiones relacionadas con el controlador del ventilador están correctamente. ¿Alguien tiene alguna idea o recomendación? Todo lo demás funciona muy bien, pero me gustaría que los Fan funcionen correctamente y ayuden a mantener una buena temperatura al interior de mi Torre. Agradezco los consejos y / o recomendaciones de todos. 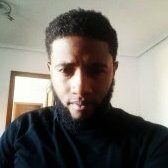 I was able to check with our support team on this and they mentioned you are already in contact with them now. They should be able to take care of you from here, thanks for reaching out so we can help! Yes, they have been very kind and have helped a lot ... thank you very much for your work I hope you continue with the accompaniment that we do to all of us, we decided to marry the components and parts that thermaltake brings to the market.